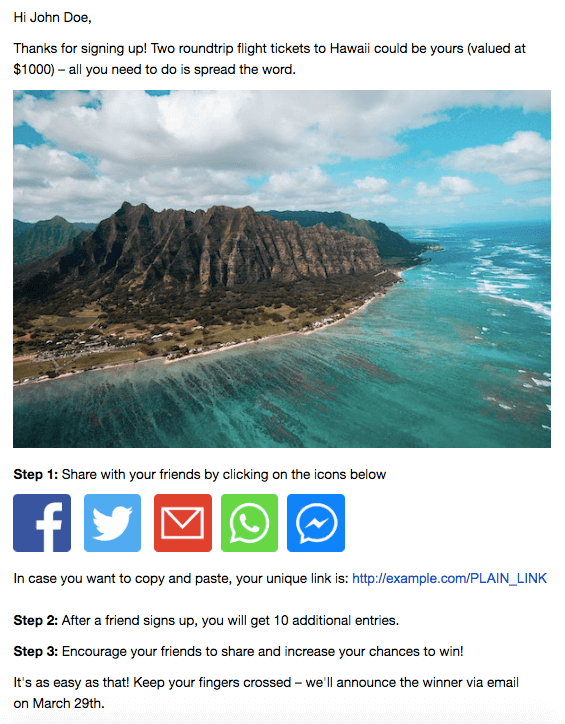 Designing a great referral program is like designing a great event. Experienced event organisers retrace every step of an attendee, from the moment the enter the event and take the goodie-bag till the moment they leave, to make sure every part of the experience is great. It can be a very time-consuming activity but the benefits make it well worth it. By putting themselves in their attendees' shoes, event organisers can see what they see and make sure their experience is great. 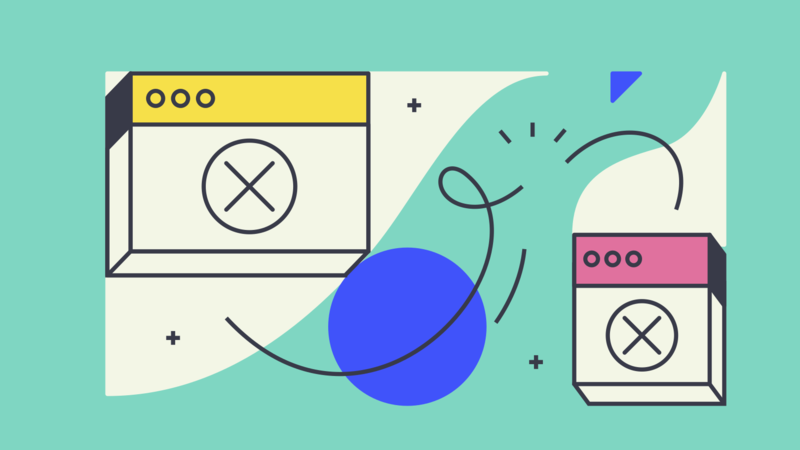 In this article we'll see some things you need to consider when designing the user experience of your referral program. How are people going to learn about your referral program? You should make the clues very visible. For example, you should add a link in the nav bar of your website or a link in the footer of every email. A common error is to announce it once and forget about it, but the truth is that most people will miss your announcement. If you're running an ambassador program, make sure your users can easily access the referral program page in their dashboard and (ideally) from every email you send them with a link in the footer. If you're running a pre-launch campaign or a giveaway for a new product, we strongly recommend that you make your referral program highly visible on the homepage or create a dedicated landing page that is linked from the homepage. In this article we talk about how you can design a great landing page. The key here is to make sure the copy of your email is concise, clear and straight to the point. Ideally, you want your entire referral program to be explained in 10 words or less, for example "Give 1 month, Get 1 month". If you've done a good job at explaining your referral program and chosen the right rewards, then people will sign up to your referral program. After they sign up you want to send them a Welcome email. This email serves a couple of purposes. It gives you a chance to create a personal connection. This email should come ideally from the founder. You can reiterate how the referral program works and remind them of terms and conditions (if they apply). You should encourage them to refer to manually recruit their first referral. This last point is very important and often overlooked. There is a tremendous power in framing the referral program in terms of referring only one friend. Often times people are overwhelmed by information and end up taking no action. Instead, by keeping things simple you can achieve much better results. We are not suggesting that you offer a reward for each referral (although that often works really well), but that you should convince your user to refer the first friend by inviting them personally, either by sending them an email or a WhatsApp message. After a few days you should check in with them and send them different emails based on whether or not they are engaging with your referral program. ReferralHero makes this very simple with built-in automated emails that allow you, for example, to send a follow up email to people who haven't referred anybody after a specific time frame (e.g: 1 month). People will inevitably forget about your referral program. We live in an incredibly fast paced world and our attention span is slowly disappearing. Which is why you should celebrate your users when they refer a friend. Each referral should be celebrate, even if it doesn't automatically lead to a reward. Again, you can automate this with ReferralHero by setting up a "Referral email" in your dashboard. 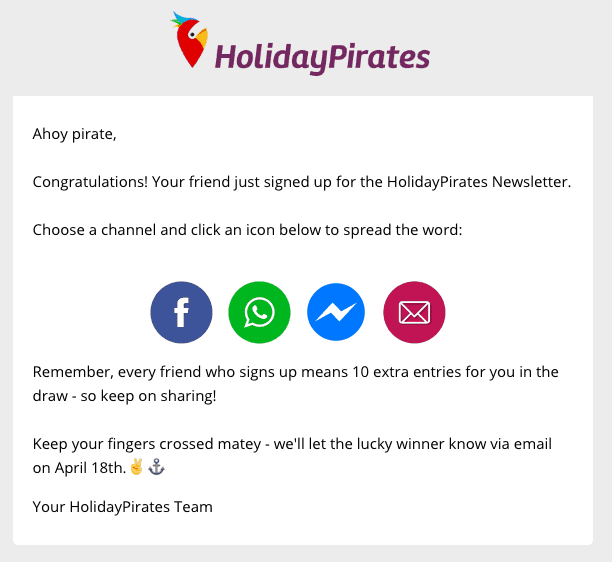 In this email, we recommend that you remind people of what they can win or how close to the reward they are.